Screen Skills Ireland has published the online version of its 2018 Review, which was launched at Screen Ireland’s Production Catalogue event last week. "A Year in Review 2018" looks back over the key initiatives, events and support offered in 2018 by Screen Skills Ireland to the wider industry, and outlines the plan for developments in 2019 and beyond. 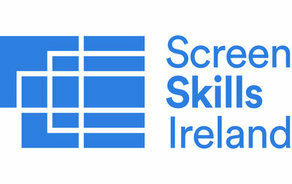 Firstly, Screen Training Ireland renamed and rebranded as Screen Skills Ireland. This new name was chosen as it is said to better reflects the remit and range of activity of Screen Skills Ireland, while also aligning the organisation more closely with education policy in Ireland, and with its sister agency, Screen Ireland. Screen Skills Ireland works with recognised industry professionals, both nationally and internationally, to identify, design and deliver skills development programmes for Irish professionals to enhance their expertise in film, television, animation, VFX and interactive screen content. During 2018, Screen Skills Ireland developed and delivered over 47 courses and allocated 628 places to participants. Of these training places, 58% were allocated to female participants and 42% allocated to male participants. Screen Skills Ireland also supported 23 masterclasses and workshops at leading Irish film festivals and seminars in partnership with various organisations throughout the year. Approximately 2,434 places were provided at these events throughout the country, and of these, 43% were allocated to female participants and 57% allocated to male participants. Through the Bursary Award Scheme, 25 Irish industry professionals availed of funding to attend high-level skills development programmes and workshops with international organisations. In November, Screen Skills Ireland launched Careers in Screen, a portal designed to proactively map career paths within the industry, the first of its kind in Ireland. Careers in Screen is a comprehensive online resource for new entrants and industry professionals, providing an overview of the screen industries, a breakdown of departments and the key skills required for all roles across Film, TV (drama and non-fiction), VFX and Animation. The organisation also saw the appointment of Gareth Lee as Manager of Screen Skills Ireland. Prior to joining Screen Training Ireland, Gareth worked at Ballyfermot College of Further Education where he ran the Animation degree programme and most recently established the inaugural diploma programme in 3D & Visual Effects — the first programme of its kind in Ireland. Gareth also brings a vast wealth of experience in training from his role in Animation Skillnet where he established the network which has delivered industry-focused training solutions for the Animation and related sectors in Ireland. Work closely with the Skills Sub-Committee to finalise, publish and begin implementing an Action Plan for the organisation that will cover the next five years. Continue to engage regularly with key industry stakeholders in relation to the ongoing skills needs of the sector through surveys and meetings with industry consultation groups and the Skills SubCommittee. Update and expand the Careers in Screen portal to fully capture the range of roles and opportunities within the sector and actively promote screen careers through a Screen Careers event. Host the second Screen Industry Education Forum to bring industry and education stakeholders together to further engage on the skills development challenges and opportunities of the screen sectors in Ireland. Deliver a range of continuous professional development programmes that are responsive to the needs of the sector across business; creativity; film; TV drama; TV nonfiction; animation; games and VFX. Work collaboratively with other organisations to develop more work-based learning opportunities through traineeships, apprenticeships, shadowing and mentoring programmes. Work closely with regional partners on skills development initiatives in the regions. Drive positive cultural change through delivering skills development initiatives that support a more diverse and inclusive industry. Work closely with national and international industry stakeholders on festival masterclasses, partnership events, networking events and bursary opportunities for international skills development. Engage with key policy influencers and relevant funding providers on the skills development needs of the sector. Click here to read Screen Skills Ireland’s 2018 review in full.